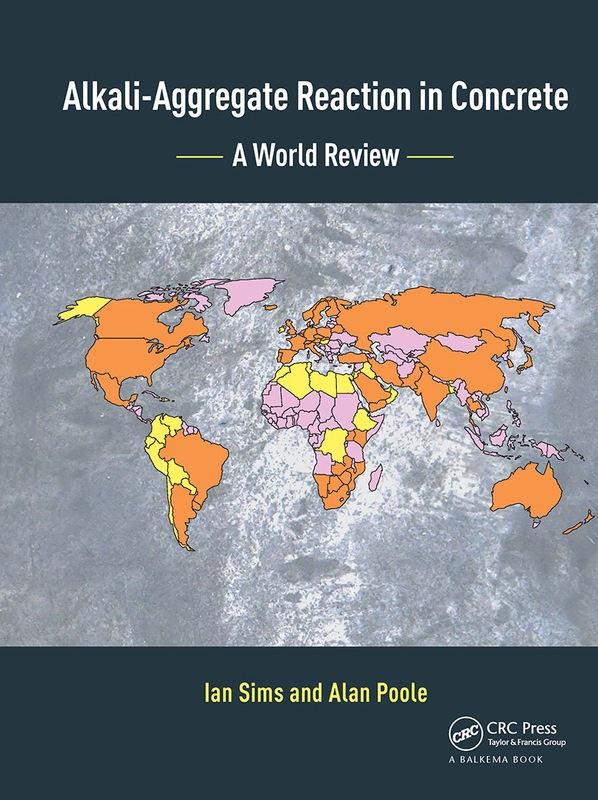 Alkali-Aggregate Reaction in Concrete: A World Review is unique in providing authoritative and up to date expert information on the causes and effects of Alkali-Aggregate Reaction (AAR) in concrete structures worldwide. In 1992 a first edition entitled The Alkali-Silica Reaction in Concrete, edited by Professor Narayan Swamy, was published in a first attempt to cover this concrete problem from a global perspective, but the coverage was incomplete. This completely new edition offers a fully updated and more universal coverage of the world situation concerning AAR and includes a wealth of new evidence and research information that has accumulated in the intervening years. Although there are various textbooks offering readers sections that deal with AAR deterioration and damage to concrete, no other single book brings together the views of recognised international experts in the field, and the wealth of scattered research information that is available. It provides a ‘state of the art’ review and deals authoritatively with the mechanisms of AAR, its diagnosis and how to treat concrete affected by AAR. It is illustrated by numerous actual examples from around the world, and comprises specialist contributions provided by senior engineers and scientists from many parts of the world. The book is divided into two distinct but complementary parts. The first five chapters deal with the most recent findings concerning the mechanisms involved in the reaction, methods concerning its diagnosis, testing and evaluation, together with an appraisal of current methods used in its avoidance and in the remediation of affected concrete structures. The second part is divided into eleven chapters covering each region of the world in turn. These chapters have been written by experts with specialist knowledge of AAR in the countries involved and include an authoritative appraisal of the problem and its solution as it affects concrete structures in the region. Such an authoritative compilation of information on AAR has not been attempted previously on this scale and this work is therefore an essential source for practising and research civil engineers, consultant engineers and materials scientists, as well as aggregate and cement producers, designers and concrete suppliers, especially regarding projects outside their own region. The book is required reading by engineers and materials scientists alike who have to make practical judgements concerning AAR. It will also appeal to academics and students because of its learned and erudite content. I suggest it should also be on the bookshelves of consultants and libraries in order to be used as a leading source of reference on this subject." Peter Hewlett, former President of the Institute of Concrete Technology. "[…] This is a superb book that is likely to be the principal reference on AAR for many years. Obviously, there is much technical detail but the writing style remains accessible and there are abundant photographs and diagrams. Many of these are in color in the eBook version, although I cannot comment on the printed edition. The book should be of particular interest to anyone involved with concrete chemistry, including consulting engineers, university civil engineering departments, concrete petrographers, concrete product manufacturers and the research departments of cement manufacturers. The first five chapters alone on the science of AAR amply justify the price to anyone with a detailed interest in the subject. […] Through reading this book, my understanding of AAR has been greatly improved and updated and I’ve still got quite a few pages to read yet." Illustrated with colour plates and fully indexed, this compilation is an essential source of reference material for civil engineers, consultants and materials specialists alike." Richard Day, Head of Technical Services at The Concrete Society. Reviewed in: The Institute of Concrete Technology Newsletter, no. 88 (Summer 2018). Dr Ian Sims is a Director of RSK Environment Ltd in the UK, where he is responsible for Materials Consultancy and Expert Witness Services. He graduated in geology at London University in 1972 and then undertook research in concrete technology, including AAR in the British Isles, being awarded a PhD in 1977. Ian joined Sandberg LLP in 1975 and gained wide experience with construction geomaterials. In 1996, he moved to STATS Limited, which joined RSK Group PLC in 2008. He has specialised for over 40 years in concrete, its constituents and all aspects of AAR. Between 1988 and 2014, Ian was Secretary of the RILEM Technical Committees on AAR and awarded RILEM Fellowship. As a Fellow of the Geological Society, he was Secretary for four sequential Engineering Group working parties, producing report-books on Aggregates, Stone and Clay materials and construction in Hot Deserts. Ian received the Society’s Engineering Group Award and later the Coke Medal. He has served on many other committees, including chairing the editorial panel for ICE’s journal ‘Construction Materials’ and currently chairing the BSI committee on Aggregates. Ian’s publications include ‘Concrete Petrography: a handbook of investigative techniques’, now in its second edition. Alan Poole followed a researchand teaching career in the petrology of civil engineering materials at Queen Mary, University of London. Throughout his later career he has been much involved with investigation of materials problems associated with concrete and related materialsfor government and major civil engineering organisations. One particular area of expertise is alkali-aggregate reaction in concrete, a costly and world-wide problem. He was a member of the international committee for the organisation of a series of major ‘ICAAR conferences’ on alkali-aggregate reaction until 2000 and chaired the two held in the UK (1976 & 1992). As a result of consultancy interests he has gained a wide experience in the investigation of civil engineering material failures of all sorts and has contributed chapters in a number of technical books and journals including co-authoring the recently published ‘Concrete Petrography’ which deals with all aspects of the investigation of concrete deterioration. He acts as secretary to the Geological Societies Applied Petrography Group and is also a member of British Standards Institution committees concerned with concretes and aggregates.